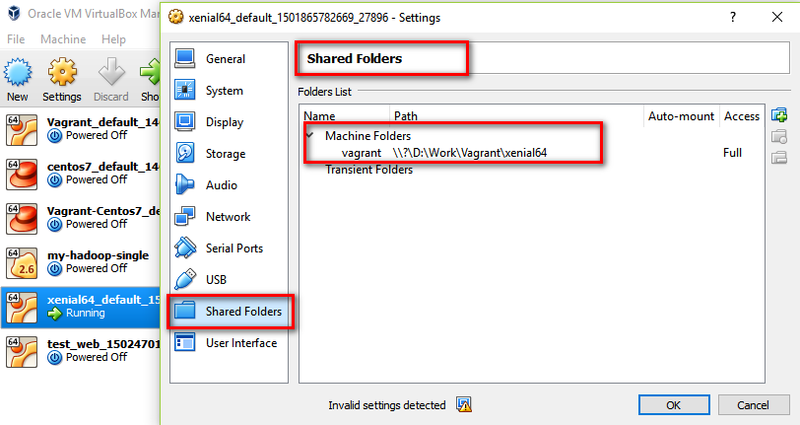 This tutorial will show how to copy files and folders from host to guest in Vagrant. Synced folders or Shared folder enable Vagrant to sync a folder on the host machine to the guest machine, allowing you to continue working on your project’s files on your host machine but use the resources in the guest machine to compile or run your project. For more detail, you can read this basic usage page. In short, to copy files and folders from host to guest in Vagrant, we simply can drop them into the synced folder which can be our project directory by default or our other configured ones. vagrant-scp is a Vagrant plugin that allows us to copy files and folders to Vagrant virtual machines via SCP. Firstly, let’s install the plugin first by opening terminal or command prompt (on Windows) and run the following command. If you already installed the plugin, you can skip this step. Please see another related article about using Vagrant ssh on Windows. Next, let use the plugin to copy files and folders from host to guest in. Another way to copy files and folders from host to guest in Vagrant is to use to SCP. Firstly, make sure you have scp installed on your host. If you don’t have it, you can install the openssh-clients package if you’re using Linux or install Cygwin if you’re using Windows. config.vm.provision :file, source: '/home/java-ex', destination: "/tmp/examples"
The article has just shown us how to copy files and folders from host to guest in Vagrant by using different approaches such as using synced or shared folders, vagrant-scp plugin and scp command. And we also see that we can use the same approaches to copy files or folders from guest to host in Vagrant.